For other uses, see Lincolnshire (disambiguation). Location of Lincolnshire in Lake County, Illinois. Lincolnshire is home to the award-winning public Adlai E. Stevenson High School and to Laura B. Sprague and Half Day elementary schools and to Daniel Wright Junior High School that compose the elementary Lincolnshire-Prairie View School District 103. Many global corporations are located in Lincolnshire, including Aon Hewitt, Zebra Technologies, CDW, and Sysmex, generating a daytime population of over 20,000 people. The Village of Lincolnshire and other entities host several popular annual events, including 4 July celebration, Art Festival, National Night Out, and Boo Bash. The Village maintains a Police Department that closely collaborates with its local school districts. Lincolnshire manages a public works system at the direct expense of the village; it retrieves all of its water from the city of Highland Park, which derives its water from adjacent Lake Michigan. The village has a council–manager government and is a home-rule municipality. The mayor of Lincolnshire is Elizabeth J. Brandt. The first inhabitants of what would become the village of Lincolnshire were Native American Potawatomi migrants from Canada and Wisconsin. The tribesmen left these northern places in the 16th century in search of a warmer, more temperate climate. The first Europeans to visit the area were the French Jesuit explorers Father Jacques Marquette and Louis Jolliet. Shortly after arriving in 1673 at the site of what later became Waukegan, they sailed down the Des Plaines River and made contact with the local Potawatomi, who would dominate the area by 1768. One of the Potawatomi villages that they encountered stretched along the west bank of the Des Plaines River, from what later became Illinois Route 22 south to Aptakisic Road, the first real settlement in the Lincolnshire and Half Day region. The Lincolnshire area was originally a part of the town of Half Day, the first region settled by non-Native American peoples in Lake County. The first white settler in the Lincolnshire area was Captain Daniel Wright, who arrived in 1834. Chief Halfda allowed Wright to build his cabin at the south end of the Potawatomi village at the site of the intersection of present-day Milwaukee Avenue and Aptakisic Road. The Potawatomi tribesmen were ousted a year later in the 1833 Treaty of Chicago, which was implemented two years after its ratification, and faced relocation. The Half Day area experienced an economic boom with the arrival of new settlers during the two decades after Wright's arrival. Among these pioneers were Seth Washburn, the first postmaster of the Vernon Township, who settled at the site of what later became the Lincolnshire-Prairie View School District 103's Half Day Intermediate School, and Laura Sprague, the first teacher to reside in the area. By 1855, 21 years after the settling of the Half Day area by Wright, the town was a thriving community with a blacksmith's shop, sawmill, country store, and a church. At this time, the Chicago and Milwaukee Railroad connected Milwaukee to the county seat of Waukegan, and it expanded throughout the Lake County area over the next few decades; this also contributed to the town's prosperity. Henry Ford's invention of the automobile in the early 20th century made Half Day a more accessible destination to other communities within the Chicago metropolitan area, and the village became a popular recreation area. This prompted the opening of many businesses, including an amusement park, a race track, a bowling alley, a dance hall, and taverns, that catered to visitors. Vernon Township, in which the village of Half Day lay, was carved up between wealthy farmers after the end of World War I. Edward Ryerson, Adlai E. Stevenson II, Samuel Insull, and Louis Leverone bought the majority of the territory within Vernon Township's borders. Leverone, who had purchased the Half Day area, sold a tract of land to developer Roger Ladd and his eponymous company in 1955. The company organized a residential subdivision out of the ceded town of Half Day and christened it "Lincolnshire", the precursor to the present-day village of the same name. However, life in the village was problematic, as the new subdivision was served by dirt roads and had neither a sufficient communal sanitation system nor a gas line. Lincolnshire's police coverage was inefficient, as officers patrolling the area had to be dispatched from Waukegan, approximately 16 miles (26 km) to the north. As a result, the Cambridge Forest Association (CFA) was formed to lobby for improvement in the livelihoods of the people of Lincolnshire. With sponsorship from the Cambridge Forest Association, Lincolnshire was incorporated as a village on August 5, 1957. The CFA was later renamed the Lincolnshire Community Association; the entity continues to play a significant role in the political life of the village. Lincolnshire's government initially adhered to a conservative and cautious approach, and refused to annex two corporate park divisions in the 1980s. Opponents to the village government's methods, however, won out in later years; supporting a quick growth to rival the increasing affluence of surrounding villages, they oversaw the cessions of the Marriott Lincolnshire Resort and Lincolnshire Corporate Center over a period of years following 1983. Lincolnshire also sought to annex the old remnants of the unincorporated community of Half Day from which it was created, but lost in a court battle with the village of Vernon Hills in 1994; the court case set the present-day border between the two villages, which lies along Route 22 up to its intersection with Milwaukee Avenue. To consolidate these new acquisitions, Lincolnshire set to work on a new village hall that was completed in 1993, and constructed a downtown area centered on the intersection of Aptakisic Road and Milwaukee Avenue; the village's endeavors included commercial regions like the Lincolnshire Corporate Center, City Park, and the Lincolnshire Commons. These facilities were planned and constructed from the mid-1990s to the mid-2000s. In 2005, Buffalo Grove and Lincolnshire reached a boundary agreement with respect to the allocation of properties surrounding and concerning the unincorporated Prairie View area, which lay in between the two Lake County villages. The acreage in question was divided equally between the two villages. Lincolnshire is located at 42°11′47″ North and 87°55′2″ West, and shares a border with the villages of Vernon Hills to the northwest, Buffalo Grove to the southwest, Bannockburn to the east, and Riverwoods to the southeast. The city of Lake Forest is located to the northeast of the village, while the unincorporated community of Prairie View borders the village directly to the west. According to the 2010 census, Lincolnshire has a total area of 4.674 square miles (12.11 km2), of which 4.58 square miles (11.86 km2) (or 97.99%) is land and 0.094 square miles (0.24 km2) (or 2.01%) is water. The village of Lincolnshire is a suburb of the city of Chicago in the southern reaches of Lake County; like Chicago, Lincolnshire is located in the extreme northeastern region of the state of Illinois. The Des Plaines River meanders through the eastern part of the village, dividing the town in half vertically at the village hall, while Half Day Road (Illinois Route 22) splits the village in half in an east–west direction. Milwaukee Avenue (U.S. Route 45) runs in a north–south direction through Lincolnshire, into the village of Buffalo Grove to the south and Vernon Hills to the north. Lincolnshire has been a Tree City USA every year since 1988. It has won the Tree City Growth Award for thirteen consecutive years. To maintain Lincolnshire's foliage, the village passed the "Tree Preservation Ordinance", a law that places tight restrictions on tree removal. As of 2008, the village was working towards the eradication of gypsy moths in its area. Lincolnshire lies on the border of two Chicago-area watersheds: one pertaining to the Des Plaines River, and the other involving the nearby north fork of the Chicago River. This situation directly relates to the presence of the Des Plaines River in the village. Due to its proximity to the city, Lincolnshire's climate shares many of the same traits as Chicago. Lincolnshire lies in a humid continental climate zone and experiences four discernible seasons. Lincolnshire receives an average of 36.28 inches (922 mm) of precipitation each year. As of the census of 2010, there were 7,275 people living in the village. The racial makeup of the village was 91.5% White, 0.9% African American, 0.01% Native American, 6.1% Asian, 0.3% from other races, and 1.2% from two or more races. Hispanic or Latino of any race were 2% of the population. As of the census of 2000, there were 6,108 people, 2,134 households, and 1,796 families living in the village. The population density was 1,386.2 people per square mile (534.8/km²). There were 2,177 housing units at an average density of 494.1 per square mile (190.6/km²). The racial makeup of the village was 94.1% White, 0.5% African American, 0.1% Native American, 3.7% Asian, 0.1% Pacific Islander, 0.5% from other races, and 1.1% from two or more races. Hispanic or Latino of any race were 2.5% of the population. There were 2,134 households out of which 37.4% had children under the age of 18 living with them, 79.1% were married couples living together, 3.7% had a female householder with no husband present, and 15.8% were non-families. 13.3% of all households were made up of individuals and 5.6% had someone living alone who was 65 years of age or older. The average household size was 2.75 and the average family size was 3.03. In the village, the population was spread out with 26.9% under the age of 18, 3.0% from 18 to 24, 21.3% from 25 to 44, 32.6% from 45 to 64, and 16.2% who were 65 years of age or older. The median age was 44 years. For every 100 females, there were 94.8 males. For every 100 females age 18 and over, there were 93.2 males. The median income for a household in the village was $134,259, and the median income for a family was $150,598. Males had a median income of approximately $90,000 versus $46,328 for females. The per capita income for the village was $60,115. About 0.7% of families and 1.6% of the population were below the poverty line, including 1.1% of those under age 18 and 0.7% of those age 65 or over. Lincolnshire serves as the headquarters of Van Vlissingen & Company, a commercial real estate developer and property manager, the global outsourcing Aon Hewitt company and the stationery products manufacturers Quill and ACCO Brands. Newman/Haas Racing, an auto racing team in the Indy Racing League, is based in the village. The Marriott Theatre is located in Lincolnshire, on the premises of the Marriott Lincolnshire Resort; it sells approximately 400,000 tickets each year. The Half Day Road-Milwaukee Avenue area, which is located near the Lincolnshire-Vernon Hills border, is a major retail corridor that experiences heavy traffic at peak hours. Along with the Village Green area, this could loosely be considered Downtown Lincolnshire. Lincolnshire and several of its neighboring villages have collaborated in attempts to ease the traffic in the area. Another potential "downtown" is loosely centered on the intersection of Milwaukee Avenue and Aptakisic Road; City Park, the Lincolnshire Commons, and the Lincolnshire Corporate Center constitute a retail hub in the southern end of Lincolnshire. Village Green plaza, at the intersection of Illinois Route 22 and Milwaukee Avenue, is the location for many of the festivities that the village holds. Lincolnshire formerly housed the U.S. headquarters of Takeda Pharmaceutical Company. In 2003 Takeda announced that it would move its headquarters, which at the time housed 1,600 employees, to Deerfield, Illinois. The village of Lincolnshire holds an annual summer festival, mirroring the more publicized and much larger Taste of Chicago in both nomenclature and intention. The Taste of Lincolnshire features and advertises "taste-size" samples of local restaurants and provides local entertainment, including musicians, a raffle, and a local pet show. Since 1993, Lincolnshire has also held the Lincolnshire Art Festival a few weeks prior to the Taste of Lincolnshire; the event encourages Lake County artists to display their work to the community. As incentives for publicity, entertainment and parking are provided free of charge. Lincolnshire hosts a Fourth of July celebration annually known as "Red, White, and BOOM! ", a collection of activities centered on the celebration of the American Independence Day. It incorporates live music, a raffle, and a fireworks show at local Spring Lake Park into its festivities. Lincolnshire was also home to two motion picture performers: Alison LaPlaca, an actress famous for her role as snobbish yuppie Linda Phillips on the sitcom Duet and its spinoff, Open House, is an alumnus of Stevenson High School; and Kyle Brandt, another graduate of Stevenson, who played Philip Kiriakis on the soap opera Days of Our Lives and appears as himself on the reality show The Real World: Chicago. Lincolnshire, despite its relatively small size, is home to nine local public parks. Spring Lake Park, which is centered on an eponymous lake and sports a small beachhead, hosts Lincolnshire's festivities during the Fourth of July. North Park, a major sporting field and nature reserve in northeastern Lincolnshire, collaborates with Lincolnshire-Prairie View School District 103 to meet both the growing need for youth sports teams and extra recreational public park space; School District 103 also collaborated with the village of Lincolnshire to create an educational nature center called Rivershire Park, which is located in southeastern Lincolnshire. The nature center runs programs to educate district students and other visitors about the local ecology, alongside the natural fauna and flora of the Lake County area, and Memorial Park is a rest stop for pedestrians and cyclists traversing eastern Lincolnshire; Florsheim Nature Preserve, which sports an unusually high Floristic Quality Index rating, is shelter to endangered and threatened species of flora rarely found elsewhere in the county. Whytegate Park, an athletic complex overshadowed by nearby North Park, sports several sports courts and a fitness course, and Balzer Park is home to a short hiking trail and sports facilities. Lincolnshire's other two parks, Bicentennial Park and Olde Mill Park, are little more than playgrounds for local children. The Lincolnshire Marriott Resort takes up a large area of land to the west of the Des Plaines River, and has an eighteen-hole golf course that hugs Illinois Route 22 to the south; the golf course is not only available to guests, but also offers lessons to local residents. The resort is also home to the Marriott Theatre, which garnered a reputation through the acceptance of 370 Joseph Jefferson Award nominations presented throughout its history. Four notable sportsmen have lived within the borders of the village of Lincolnshire. Andrea Jaeger, a professional tennis player known for her successful, albeit brief, career in tennis that saw progress in Wimbledon and the French Open, graduated from Adlai E. Stevenson High School; Matt O'Dwyer, a former NFL football player who played for numerous teams ranging from the New York Jets to the Green Bay Packers, was born in Lincolnshire. Robert Berland, an Olympian who won medals at the 1984 Summer Olympics in Los Angeles and the 1988 Summer Olympics in Seoul, lives in the village. Dallas Mavericks basketball player Jalen Brunson moved to Lincolnshire in 2010 to attend Stevenson High School. In October 2013, the Stanley Cup made its first ever-appearance in Lincolnshire and again visited the village in July 2015. The government of Lincolnshire is constituted as a council-manager form government with elements of home rule, which it adopted via ordinance in 1976. The village is headed by a mayor who presides over a board of six trustees at every meeting, although the daily functions of the village are carried out by a professional salaried village manager. Once elected, the mayor serves a four-year term; the elected trustees serve four-year terms that are staggered. It is the responsibility of the mayor to appoint a village manager, although the manager cannot take office until the board has approved the mayor's choice. Government meetings are generally conducted on the second and fourth Mondays of the month. In the case of a tie, the mayor has the casting vote. Mayors of Lincolnshire can veto propositions set forth by the board of trustees, although this move may be overridden by a two-thirds opposition vote from the board. Lincolnshire is served by its own police department, which is based in the village hall. This police force is staffed by 25 full-time members; 24 of them are sworn police officers, and the other is a community service officer. The Lincolnshire Police Department runs an emergency center that accepts 911 calls in the region. The Lincolnshire Police Department collaborates with Lincolnshire-Prairie View School District 103's junior high school, Daniel Wright, to form a chapter of the Drug Abuse Resistance Education program. This program has graduated sixth graders from the school every year since 1991. The village is served by the Lincolnshire-Riverwoods Fire Protection District, which employs 36 sworn full-time firefighter/paramedics. The Fire Protection District has three fire stations: one located in central Lincolnshire, slightly to the west of the village hall, one to the south in Riverwoods, and a third located on the north end of the district in Vernon Hills. The Fire Protection District runs free services and programs, including fire safety surveys of houses in the area. Lincolnshire lies in a floodplain region, a consequence of the presence of the Des Plaines River and the proximity a fork of the Chicago River on the far east border. A third factor involves small Indian Creek, which runs north of Lincolnshire. The village participates in the National Flood Insurance Program, a Federal Emergency Management Agency (FEMA) project, to alleviate a portion of the costs of flood damage that may overtax affected village residents. The village also implements the Community Rating System, a disaster readiness plan. Lincolnshire has two school districts: Lincolnshire-Prairie View School District 103 and Adlai E. Stevenson High School District 125, although a few students living in the village also attend school in Aptakisic-Tripp Community Consolidated School District 102 in neighboring Buffalo Grove. District 103, which feeds into District 125, is home to three schools: Laura B. Sprague Elementary School (K-2), Half Day Intermediate School (3–5), and Daniel Wright Junior High School (6–8); District 125 comprises only Adlai E. Stevenson High School. Both are public school districts, funded by the government. The first school to be built in what is now Lincolnshire was Half Day Intermediate School, which initially served all grades for the small town; it was originally a one-room schoolhouse before a major expansion project was undertaken to accommodate the district's increasing population. Numerous changes were made to Half Day School between 1958 and 1965, but it remained too small to receive all prospective students; in 1983, Half Day School was closed, its duties were given to Laura B. Sprague Elementary School and Daniel Wright Junior High School. It was, however, reopened nine years later as Daniel Wright and Laura Sprague began to fill to capacity. Another expansion was added to Laura Sprague and h\Half Day in 2017 to accommodate the increase in students. Grade 6 was also moved to Half Day from Daniel Wright in 2017. Lincolnshire is also served by a number of non-government-funded educational institutions. DeVry University's Keller School of Management operates a branch in Lincolnshire, alongside the Southlakes Campus of the College of Lake County, which is located just to the north in the village of Vernon Hills. Alumni of Stevenson High School who wish to apply for the University of Illinois may do so at an extension site located in Grayslake, a village in northern Lake County. The Lincolnshire Community Nursery School, which was founded in 1973, accepts preschoolers who live in the eastern reaches of the village of Lincolnshire. The village is home to the Vernon Area Public Library, whose district serves a large region of the Vernon Township (specifically, the villages of Lincolnshire; Buffalo Grove; and Long Grove, and portions of the village Vernon Hills). The library district also hosts a number of special events, including book talks and informational presentations. Lincolnshire lies on three arterial roads: Illinois Route 22, which is known as Half Day Road in this area; Milwaukee Avenue, which appears as Illinois Route 21/U.S. Route 45; and Aptakisic Road, which meets Milwaukee in the southern region of Lincolnshire. Lincolnshire shares its eastern border with the village of Bannockburn at Interstate 94 (where it is a portion of the Tri-State Tollway). Route 22 crosses the Des Plaines River before bridging Bannockburn and Lincolnshire by arching over Interstate Highway 94. Lincolnshire has two primary bike paths that cover a large expanse of the village. One runs in a north-south direction alongside Riverwoods Road in the eastern half of the village, while the other runs in an east-west direction from the eastern half of the village, across the Des Plaines River, and to the village hall in the west side of the village. Smaller bike paths connect individual neighborhood areas within and around Lincolnshire. O'Hare International Airport is 18 miles (29 km) southwest of the village of Lincolnshire. Travel between Lincolnshire and the airport is facilitated by the Tri-State Tollway, although travel by railway is also possible via the Prairie View Metra station just west of Lincolnshire. The Village of Lincolnshire negotiated and signed an agreement with the City of Highland Park in 1982 to create a more efficient means of obtaining water by purchasing filtered water from Lake Michigan. The Village of Lincolnshire also monitors the public pumps and water meters of private residents. Lincolnshire is served by a sanitary sewer that connects to the Lake County Sewage Treatment Plant, which lies on the Des Plaines River outside the Village limits; the disposal of wastewater is left to the government of Lake County rather than the Village of Lincolnshire itself. Lincolnshire also runs a network of storm drains that run directly into the Des Plaines River; to protect the river's cleanliness, the village government has outlawed dumping of most chemicals into the network of storm drains. A plan to repair city streets was also implemented in 1982, and continues; the Village also offers public services to clear the streets during the fall and winter from fallen leaves and snow respectively, although on its arterial roads (Illinois Routes 22, 45, and Aptakisic Road) residents are provided with bags to clear their curbs during autumn months as it is not possible for the Village to safely clear these roads of leaf debris. The Village of Lincolnshire regularly sweeps other streets within its borders. The Village of Lincolnshire is served by the Northern division of the Waste Management, Inc. Midwest Group for solid waste disposal. The engineering division of Lincolnshire's Public Works Department maintains roads and streets under the jurisdiction of Lincolnshire, inspects existing facilities, improves existing residential subdivisions, and considers the construction of new ones. The department also manages plans in case of river floods. ^ a b Banovetz, James (November 13, 2006). "Illinois Home Rule: Its Use and Experience" (PDF). Northern Illinois University Center for Governmental Studies. Plainfield, Illinois: Village of Plainfield, Illinois. p. 13. Archived from the original (PDF) on July 23, 2008. Retrieved October 6, 2009. ^ "Geographic Identifiers: 2010 Demographic Profile Data (G001): Lincolnshire village, Illinois". U.S. Census Bureau, American Factfinder. Retrieved December 17, 2012. ^ a b Dretske, Diana (May 2002). Lake County, Illinois: An Illustrated History. Dallas, TX: Heritage Media Corporation. p. 16. ISBN 1-886483-61-2. ^ "Waukegan, Illinois". Electronic Encyclopedia of Chicago. Chicago Historical Society. 2005. Archived from the original on 2009-06-14. Retrieved 2009-06-18. ^ a b c d "Lincolnshire Village History". Village of Lincolnshire Website. Village of Lincolnshire. 2008. Retrieved 2008-08-18. ^ a b c Lincolnshire Information Report. Lincolnshire, Illinois: Independently published (Village of Lincolnshire). 2004. pp. 4–6. ^ Reichelt, Marie Ward (1928). History of Deerfield. Glenview Press. ^ Dretske, Diana (May 2002). Lake County, Illinois: An Illustrated History. Dallas, TX: Heritage Media Corporation. pp. 16–17. ISBN 1-886483-61-2. ^ "History". Township of Vernon, Lake County, Illinois. County of Lake, Illinois. 2008. Archived from the original on May 7, 2008. Retrieved 2008-09-13. ^ Dretske, Diana (May 2002). Lake County, Illinois: An Illustrated History. Dallas, TX: Heritage Media Corporation. pp. 33–34. ISBN 1-886483-61-2. ^ "General Information – Historical Facts". Ryerson Woods. Pustelnik Designs and Friends of Ryerson Woods. 2001–2008. Archived from the original on 2012-06-27. Retrieved 2008-08-20. ^ Marilyn Elizabeth Perry (1990). "Vernon Hills, IL". Electronic Encyclopedia of Chicago. Chicago Historical Society. Retrieved 2008-08-23. ^ a b "City Park Location". Go City Park!. Village of Lincolnshire. 2008. Archived from the original on 2008-05-18. Retrieved 2008-08-23. ^ a b "Mall Information". Lincolnshire Commons. General Growth Properties, Inc. 2007. Archived from the original on March 22, 2009. Retrieved 2008-08-23. ^ a b Knox, Douglas (1995). "Lincolnshire, IL". Electronic Encyclopedia of Chicago. Chicago Historical Society. Archived from the original on 2008-10-13. Retrieved 2008-08-23. ^ "Boundary Agreement with the Village of Buffalo Grove, Exhibit B" (PDF). Department of Community Development (Buffalo Grove). Villages of Lincolnshire and Buffalo Grove. 2005. Retrieved 2009-06-13. ^ "Places". 1990s Gazeteer Files. US Census Bureau. 1990. Archived from the original on 2005-04-12. Retrieved 2005-05-03. ^ a b c "Map of Lincolnshire, Illinois". Google Maps. Google, Inc. 2008. Retrieved 2008-08-18. ^ "Tree Cities in Illinois". Arbor Day Foundation. 2008. Retrieved 2008-08-31. ^ "Tree Preservation Ordinance". Lincolnshire Forestry Services. Village of Lincolnshire. 2008. Archived from the original on June 20, 2008. Retrieved 2008-08-18. ^ "Information Concerning Gypsy Moths". Lincolnshire Forestry Services. Village of Lincolnshire. 2008. Archived from the original on February 2, 2009. Retrieved 2008-08-18. 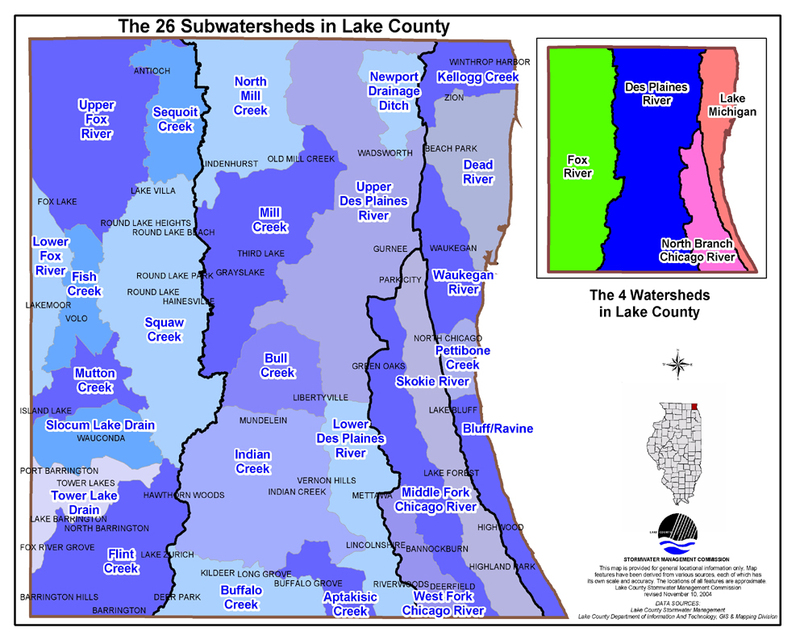 ^ "Subwatershed Map of Lake County". Stormwater Management Commission. County of Lake, Illinois. 2004. Archived from the original on 2010-05-27. Retrieved 2008-09-11. ^ a b "Monthly Weather Averages for the Village of Lincolnshire". The Weather Channel. Retrieved 2008-10-01. 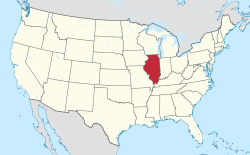 ^ "Lincolnshire, Illinois Fact Sheet". United States Census Bureau. United States Census Bureau. 2008. Retrieved 2008-01-31. ^ "Home Page". Van Vlissingen and Company. 2008. Archived from the original on 2008-09-14. Retrieved 2008-08-21. ^ "Who We Are: Fact Sheet". Hewitt Associates LLC. 2008. Retrieved 2008-08-21. ^ "History". Quill Lincolnshire, Inc. 2008. Retrieved 2008-11-25. ^ "Milwaukee: Newman/Haas/Lanigan Racing preview". Motorsport.com, Inc. 2008. Archived from the original on 2013-01-29. Retrieved 2009-06-10. ^ a b "Lincolnshire Marriott-Chicago Golf Course". Lincolnshire Marriott Resort. Marriott International, Inc. 1996–2008. Retrieved 2008-09-06. ^ "U.S. Route 45 Public Input Meeting" (PDF). Illinois Department of Transportation. Government of the State of Illinois. 2003. Archived from the original (PDF) on 2008-05-14. Retrieved 2008-08-23. ^ a b "Information on the Taste of Lincolnshire 2008". Greater Lincolnshire Chamber of Commerce. Village of Lincolnshire. 2008. Archived from the original on 2010-07-12. Retrieved 2008-08-23. ^ a b "2008 Lincolnshire Art Festival". Amdur Productions. 2008. Archived from the original on 2008-09-05. Retrieved 2008-08-23. ^ "Takeda plans move from Lincolnshire." Lincolnshire Review. January 2, 2003. Retrieved on February 2, 2011. ^ "Lincolnshire Community Association Neighborhood News" (PDF). LCA Newsletter. Lincolnshire Community Association. June 2005. Archived from the original (PDF) on 2006-07-16. Retrieved 2008-08-26. ^ "Stevenson graduates make a name for themselves in television roles." Daily Herald, May 13, 2008. Retrieved August 20, 2008. ^ "Parks and Paths – Spring Lake Park". Department of Parks and Recreation. Village of Lincolnshire. 2008. Retrieved 2008-08-30. ^ "Parks and Paths – North Park and North Park Nature Preserve". Department of Parks and Recreation. Village of Lincolnshire. 2008. Retrieved 2008-08-30. ^ "Parks and Paths – Rivershire Park and Nature Center". Department of Parks and Recreation. Village of Lincolnshire. 2008. Archived from the original on 2008-02-14. Retrieved 2008-08-30. ^ "Parks and Paths – Florsheim Nature Preserve". Department of Parks and Paths. Village of Lincolnshire. 2008. Retrieved 2008-08-30. ^ "Parks and Paths – Whytegate Park". Department of Parks and Recreation. Village of Lincolnshire. 2008. Retrieved 2008-08-30. ^ "Parks and Paths – Balzer Park". Department of Parks and Recreation. Village of Lincolnshire. 2008. Archived from the original on 2008-02-14. Retrieved 2008-08-30. ^ "Parks and Paths – Bicentennial Park". Department of Parks and Recreation. Village of Lincolnshire. 2008. Retrieved 2008-08-30. ^ "Parks and Paths – Olde Mill Park". Department of Parks and Recreation. Village of Lincolnshire. 2008. Archived from the original on February 14, 2008. Retrieved 2008-08-30. ^ "History". Marriott Theatre at Lincolnshire. Marriott International, Inc. 2009. Archived from the original on 2009-05-12. Retrieved 2009-06-13. ^ "Girls Tennis Individual Champions". Illinois High School Association. Illinois High School Association. 1996–2008. Retrieved 2008-08-20. ^ "Matt O'Dwyer Stats". Entertainment and Sports Programming Network (ESPN). Walt Disney Corporation / Hearst Corporation. 2008. Retrieved 2008-09-07. ^ Breen, Matt (2014-06-21). "Temple, Villanova on Jalen Brunson's list". Philadelphia Inquirer. Philly.com. Retrieved 2014-06-24. ^ a b c d e f g h Authors, Various (2004). Lincolnshire Information Report. Lincolnshire, Illinois: Village of Lincolnshire. p. 4. ^ a b c d e f g h "Contact Us". Village of Lincolnshire Website. Village of Lincolnshire. 2008. Retrieved 2008-09-21. ^ This is so because both apparently have the same address. ^ "Police Department Home Page". Department of the Police. Village of Lincolnshire. 2008. Retrieved 2008-09-07. ^ "Fire Department". Department of Fire Protection. Village of Lincolnshire. 2008. Archived from the original on 2009-02-23. Retrieved 2008-09-13. ^ Hughes, Jennifer (June 2004). "Lincolnshire Flood Warning Pamphlet". Engineering Division. Village of Lincolnshire. ^ "About Our School". Lincolnshire-Prairie View School District 103 Webring. Lincolnshire-Prairie View School District 103. 2001–2008. Archived from the original on 2011-10-02. Retrieved 2008-08-23. ^ "Keller School of Management – Lincolnshire, IL (Chicago Metro)". Keller School of Management. DeVry University. 2007. Archived from the original on 2008-06-16. Retrieved 2008-08-26. ^ "College of Lake County – Southlake Campus". CLC Campuses and Extension Sites. College of Lake County. 2008. Retrieved 2008-08-26. ^ "University of Illinois Extension – Lake County Unit – How to Find Us". University of Illinois Extension Sites. University of Illinois. 2008. Retrieved 2008-08-26. ^ "Location of the Lincolnshire Nursery School on Google Maps". Google Maps. Google Inc. 2009. Retrieved 2009-06-13. ^ "Lincolnshire Community Links – LCNS". Lincolnshire Community Links. Village of Lincolnshire. 2008. Retrieved 2008-08-26. ^ "Schools and Universities". Lincolnshire Community Links. Village of Lincolnshire. 2008. Archived from the original on 2007-11-18. Retrieved 2008-08-26. ^ "Locations and Maps". Vernon Area Public Library. Vernon Area Public Library District. 2009. Retrieved 2009-06-13. ^ "Events Calendar". Vernon Area Public Library. Vernon Area Public Library District. 2009. Retrieved 2009-06-13. ^ "Parks and Paths". Department of Parks and Recreation. Village of Lincolnshire. 2008. Retrieved 2008-09-07. ^ "Maps and Transportation". Lincolnshire Marriott Resort. Marriott International, Inc. 2008. Retrieved 2008-09-08. ^ "Prairie View Station Information". Metra North Central Service. Commuter Rail Division of the Regional Transportation Authority. 1995–2008. Archived from the original on 2008-09-13. Retrieved 2008-09-13. ^ "Water and Sewer Division". Department of Public Works. Village of Lincolnshire. 2008. Retrieved 2008-09-13. ^ "Streets and Drainage Division". Department of Public Works. Village of Lincolnshire. 2008. Archived from the original on 2011-05-04. Retrieved 2008-09-13. ^ "March 2008 Newsletter" (PDF). The Lincolnshire NewsLetter. Village of Lincolnshire. March 2008. Retrieved 2008-09-20. ^ "Engineering Division". Department of Public Works. Village of Lincolnshire. 2008. Retrieved 2008-09-13. This page was last edited on 6 April 2019, at 04:02 (UTC).